These Limited Production 1/10 oz. Gold Bullion and a ½ oz. 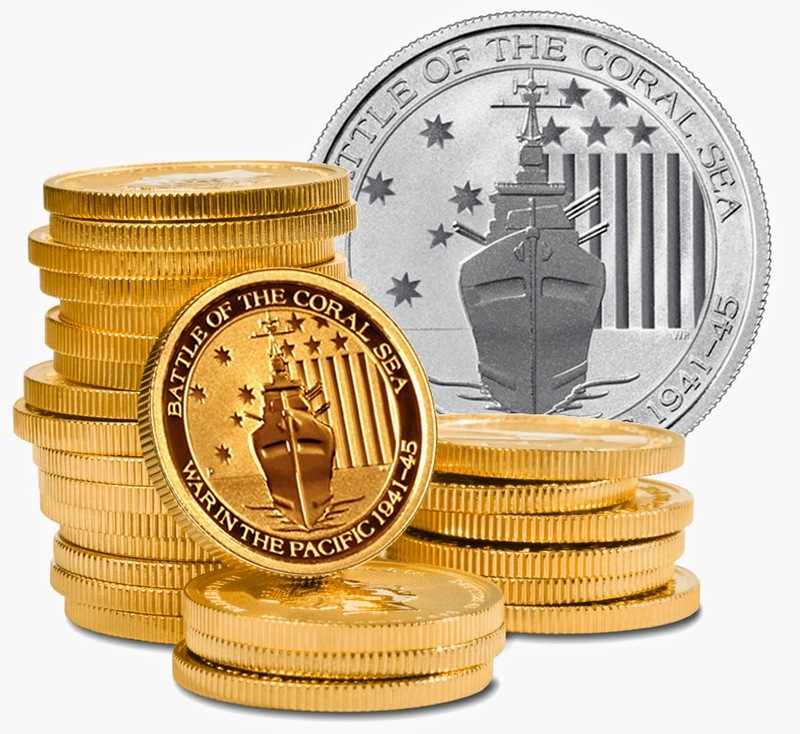 Silver Bullion Coins Honor Allied Forces Who Fought in the Battle of the Coral Sea. The gold coin contains one-tenth ounce .9999 fine gold and the silver coin contains one-half ounce .999 fine silver. These coins are Australian legal tender and, due to their purity, may be included in precious metals IRAs. The Perth Mint, the official mint of the Western Australian government, enjoys a reputation for innovation and superb quality.